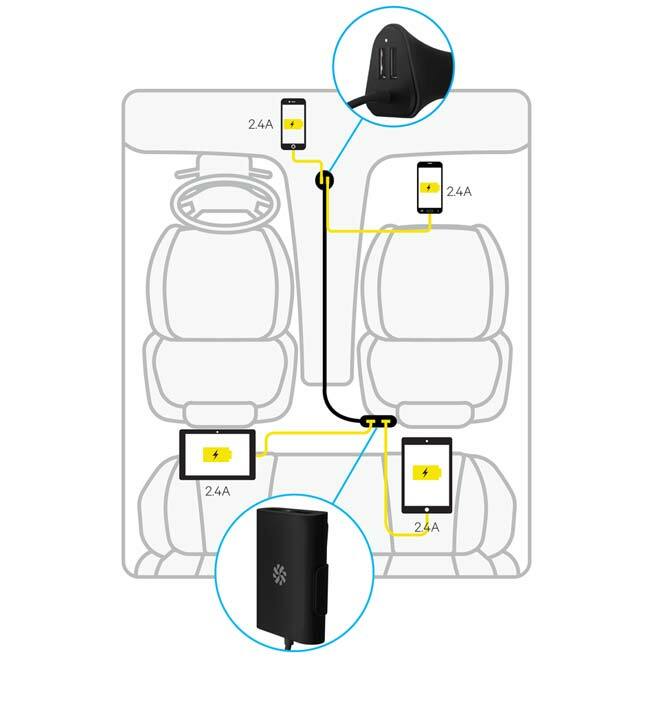 Front seat and back seat passengers can all continue using their devices while charging with the Kanex Shareable Car Charger. 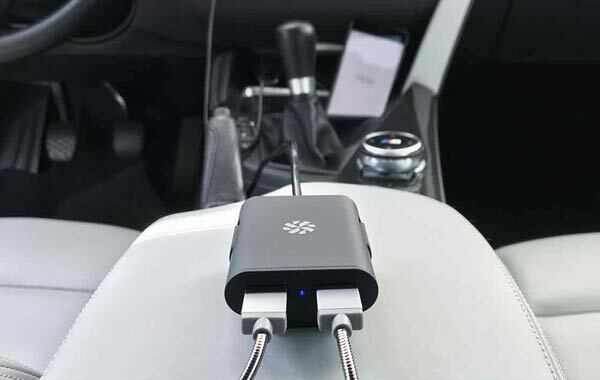 Front seat and back seat passengers can all continue using their devices while charging with the Kanex Shareable Car Charger - an innovative 4-Port USB car charger with a 6ft extended USB hub for convenient backseat charging. The GoPower Shareable Car Charger is compact yet equipped with four powerful 2.4 Amp ports that will quickly charge your iPhones/ iPads. Perfect for quick charging on the go. The GoPower Shareable Car Charger features over-current and circuit protection to ensure that your device is protected at all times while charging. Whether you’re an Uber or Lyft drive, this unique charger is the all-in-one solution you’ve been looking for. Provide your passengers with a quick convenient charge as they ride. No need to pass the cables back. They can grab their own. You can even switch out the cables depending on what device they have.